weSew was set up to teach young people aged 4 – 18 years how to sew. Fun projects range from designing, making and customising garments, making toys/accessories or undertaking larger group pieces. All children from reception to year 6 use a manual sewing machine as well as learn how to hand stitch. Teenagers and beyond have access to a set of electric Brother machines. Activities are risk assessed, fully insured and adhere to good practise. weSew was set up by Donna Saville in 2014. She has always enjoyed sewing and was fortunate to be taught by her mother and grandmother as a child. Donna recognised that there were lots of young people her own children’s ages who were really keen to learn, but there were no classes tailored toward this demand. 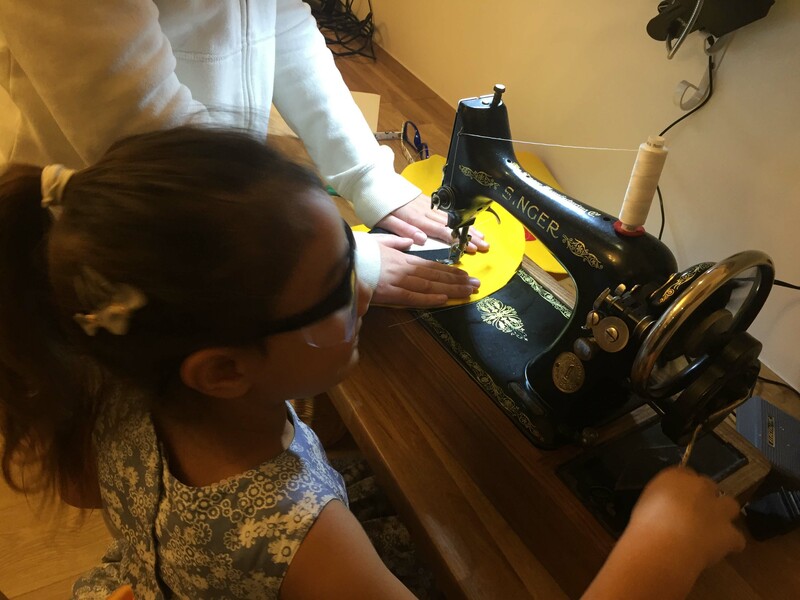 The aim of weSew is to make sewing accessible to young people and to illustrate how much fun it is and how rewarding making your own items can be. After weSew had been running for a year, Donna had received several requests from parents who were keen to learn to sew too. So, in June 2015, a class for complete adult beginners was started. It continues to run weekly and is open to anyone wanting to learn to sew. In September 2017, weSew changed locations into a purpose built sewing studio located in Lakewood Road, Cbandlers Ford. From here up to 7 classes are run a week. The new room has enabled more frequent classes which are now tailored towards Infants, Juniors, Secondary School pupils, and adults. Formats include parties, workshops, classes and parent and child sessions.